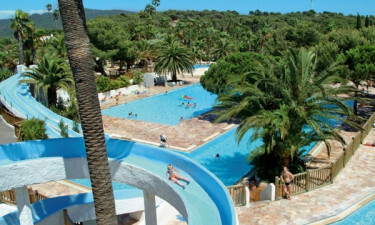 Camping La Baume - a popular holiday camping site found within the heart of the French Riviera. 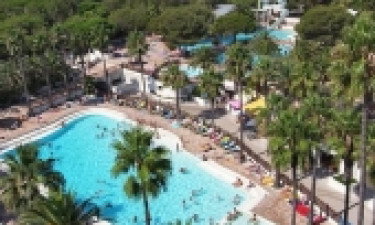 La Baume is a popular holiday camping site found within the heart of the French Riviera and located only 5 kilometres from some of the most stunning beaches known to man. Learn more about this camping holiday with the help of Lux-Camp. The campsite reserves the right to prohibit or remove the bbq (if present in the mobile home) from the mobile home at any time during the season due to weather conditions such as heat and drought. In this way the risk of fire due to flying sparks can be avoided. What Awaits Me at the Luxury Camping Site of La Baume? 2 pool complexes with a total of 6 swimming pools. A variety of entertainment is available for children. A warm and tranquil Mediterranean climate throughout most of the year. Luxury camping in modern times is now a reality due to the sheer number of technological benefits to be found. While wireless Internet is included as standard, there are a few other features to mention here. Fully equipped washing facilities are present and located within a short walking distance from the pitches. An Internet terminal is also provided. Waste facilities for caravans are offered and those with young children will be pleased to know that baby changing stations are standard features. Finally, 80 individual washing cubicles are available. 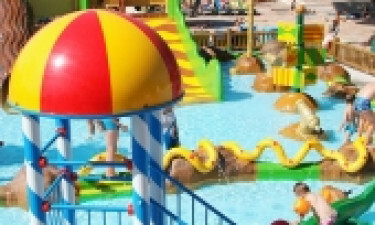 This sense of camping luxury can be further enhanced due to the fact that there is a variety of activities designed around the needs of children here. Thus, parents can relax while the younger generation will remain entertained throughout their stay. Finally, this holiday camping site offers food provision facilities such as supermarkets for the visitor. Both a mini-market and a bespoke gift shop can also be frequented by those staying here. Basic provisions as well as camping supplies are offered in these outlets. It is still important to check in regards to their opening dates; these are seasonal facilities. La Baume boasts on-site restaurants that offer up a milieu of both regional and international cuisine. Once again, these are to be found quite close to the 780 pitches found through the campsite. If you are hoping to book a camping holiday in the near future and La Baume appears to be an attractive option, please feel free to contact Lux-Camp when possible. All additional questions and concerns can be addressed at your convenience.